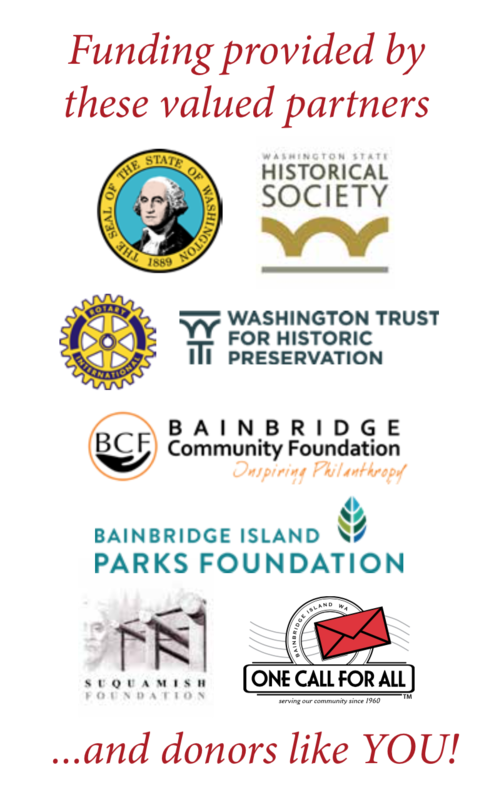 The Fort Ward Community Hall campaign is grateful to these community groups, businesses, families and individuals for their generous gifts of time, expertise, enthusiasm and financial support. Please see the Pledge tab in the menu bar and consider making a tax-deductible contribution to this project. Friends of Fort Ward is a 501(c)3 tax-exempt organization.